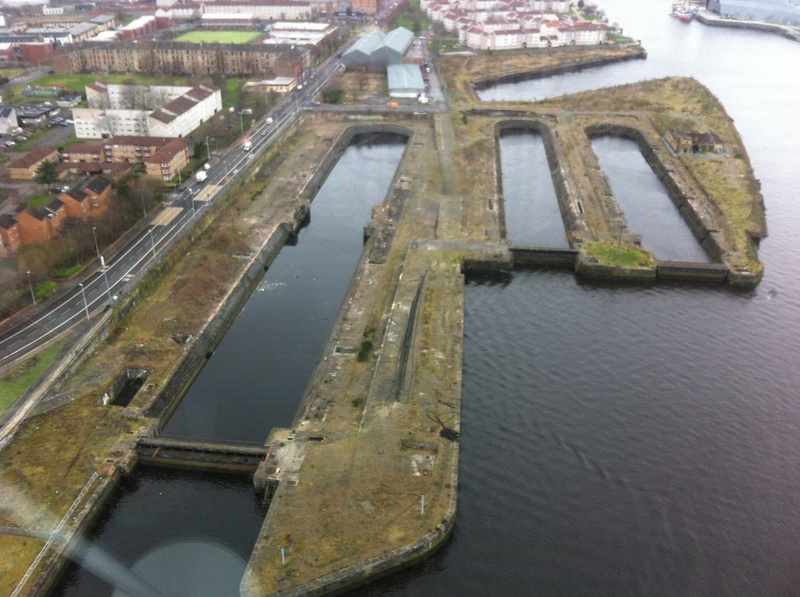 In their outline planning application NCV have indicated that the middle dry dock will be kept as a “dry” dock. This vacuous promise was half-baked in the weeks between their first and second consultation exhibitions and even if the application is approved they will not be bound to this. Excuses will later emerge about how it is too expensive for them (to seal the sluices and restore the caisson) and it will most likely just be kept as a water feature like the other two docks. We have to bear in mind these “promises” are coming from a developer that in 2005 promised to build 1,500 homes on council owned land in Drumchapel where they were named preferred bidder for several council owned sites. We understand that to date only about 100 or so of these homes in Drumchapel have ever been built and Drumchapel Community Council’s attempts to find out who owns the land the council sold to NCV under FOI have apparently been blocked. As for their token platitudes about a little “heritage centre” in the corner…. that’s not even worthy of comment other than to tell the developers the people of Govan are not fastened up the back. NCV have sat on the graving docks for the best part of two decades – allowing the pump house and other listed features to deteriorate. Why should the people of Govan trust them now?